This property is installed with a lot of great features including, The large high ceiling shed is divided into 2 spaces. The front section of the shed is approx. 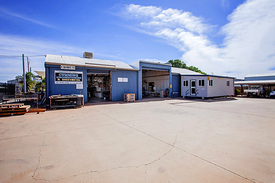 350 m2 and currently leased at approx $2,300/month. There is 2 large offices and bathroom.The Well appointed & modern Office space is divided into 2 rooms & fully air conditioned. The rear section of the shed is approx. 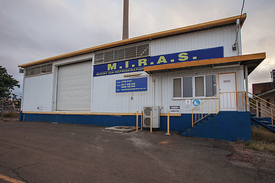 180 m2 and is currently vacant. Possible rental income of $1,500/ month. There is 2 rooms/offices and bathroom. It features a large mezzanine floor above the office section and floor to ceiling double access, and rear car park area. Please contact Bronwyn Finch 0448 013 974 OR John Tully 0429 029 289 for more details or to view the property. Two Blocks for the Price .. Price: $150,000 FOR TWO BLOCKS!